This wall unit is the perfect combination of the art deco and modern styles. Functional and incredibly stylish, this would be perfect for hanging in the living room, hallway or bedroom. Finished with a black metal wire frame and natural wood look shelves. 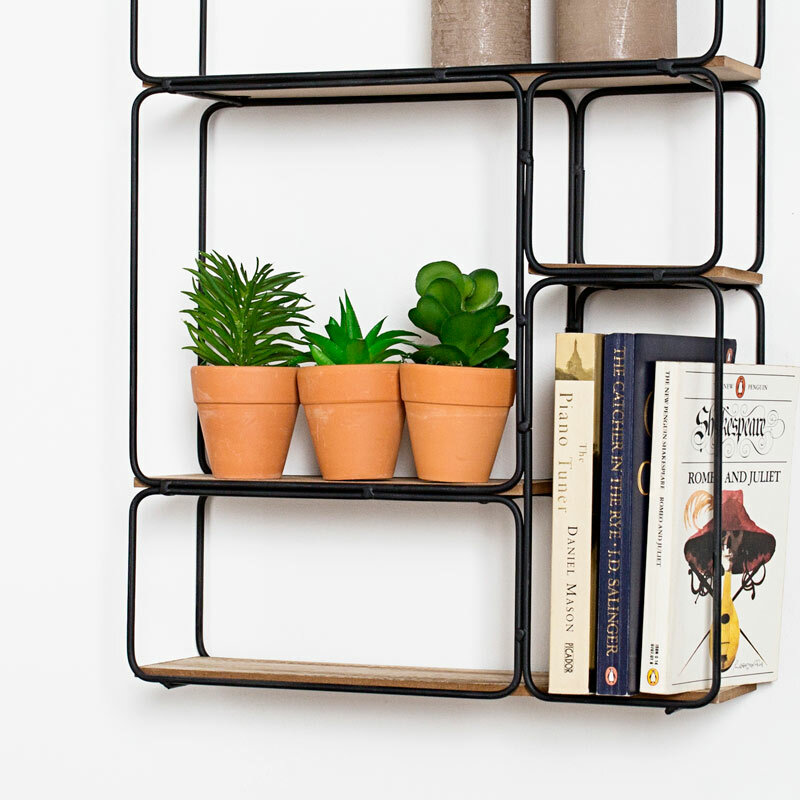 The shelving unit comes 5 shelves of varying heights and widths for a funky display. 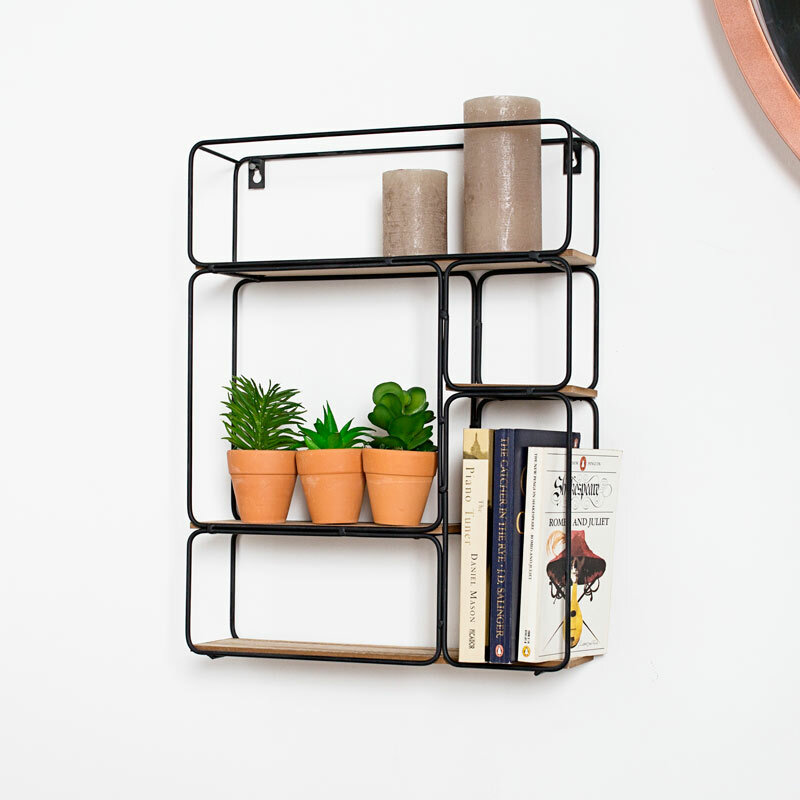 Lightweight design with metal black painted frame and natural wood shelves. Easily wall mounted with 2 holes on the back for hanging. With more shelving choices in a variety of colours, styles and designs that will help you to create the desired look for your home.